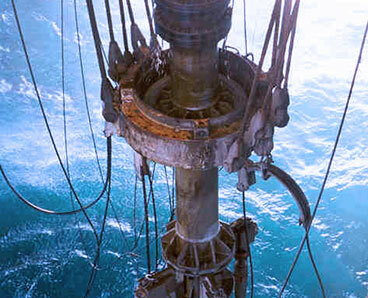 2H helped a client schedule and prioritise plug and abandonment operations for old exploration wells in the North Sea. An operator in the North Sea has a number of temporarily suspended exploration wells that were drilled in the 1980’s and need to be plugged and abandoned. It was unknown if the fatigue capacity of the wells was sufficient for the plug and abandonment (P&A) campaign to take place. To determine whether there was enough fatigue capacity to carry out the planned work, 2H conducted an assessment of the fatigue damage accumulated in the casing, conductor and wellhead system during the original drilling and suspension operations. We focused on the two wells that were scheduled for plug and abandonment and used hindcast weather data to improve the accuracy of the historical assessment. Due to the unknown start date and length of P&A operations, we calculated the expected fatigue damage rate along the system in annual seastate conditions, and provided the maximum allowable duration of P&A operations for work conducted at any time of year. Two semi-submersible drilling rigs were considered when calculating the damage accrued during P&A operations. Initial analysis showed that the drilling and suspension operations had led to significant fatigue accumulation, particularly in the wellhead profile. This led to short allowable durations for the P&A operations. We overcame this by selecting a design fatigue factor appropriate to the level of risk involved at each stage of the P&A operations, considering when a hydrocarbon path to surface may exist. The refined approach to design fatigue factors ensured that sufficient fatigue capacity could be demonstrated to allow P&A operations to proceed. 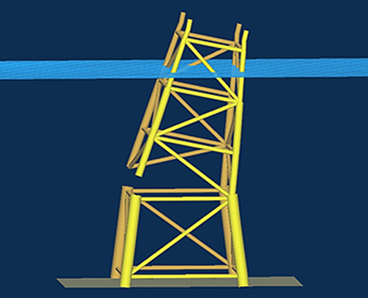 2H’s in depth knowledge of riser casing, conductors and wellhead systems, and expertise in subsea fatigue assessments enabled our client to schedule the plug and abandonment operations as well as select the most suitable vessel for the job.